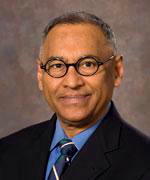 A. Hari Reddi, M.S., Ph.D.
Regeneration of Bone and Cartilage. Stem Cells. Dr. Reddi was the first recipient of the Marshall Urist Award for Excellence in Tissue Regeneration Research. Established in 1996 by the Orthopaedic Research Society, the award honors a society member whose research excellence in tissue regeneration mirrors the accomplishments of Marshall Urist, a pioneer in the field of tissue engineering. Dr. Reddi's research played an indispensable role in the identification of bone morphogenetic proteins (BMPs) that cause new bone to grow. His research interests are the regeneration and repair of bone, cartilage and meniscus. Current projects are bone morphogenetic proteins and cartilage repair. He also has research interests in the cellular and molecular basis of cartilage repair and osteoarthritis; the cellular and developmental biology of bone and osteoporosis; the tissue engineering of bone and cartilage based on biomaterials and biotechnology; the role of extracellular matrix and growth factors in cell differentiation and morphogenesis of bone and cartilage; and hormonal regulation of cartilage, bone and bone marrow development. McNary SM, Athanasiou KA, Reddi AH. Engineering lubrication in articular cartilage. Tissue Eng Part B Rev. 2012 Apr;18(2):88-100. Epub 2012 Jan 6. Neu CP, Reddi AH, Komvopoulos K, Schmid TM, Di Cesare PE. Increased friction coefficient and superficial zone protein expression in patients with advanced osteoarthritis. Arthritis Rheum. 2010 Sep;62(9):2680-7. Chan SM, Neu CP, Duraine G, Komvopoulos K, Reddi AH. Atomic force microscope investigation of the boundary-lubricant layer in articular cartilage. Osteoarthritis Cartilage. 2010 Jul;18(7):956-63. Epub 2010 Apr 22. Nakagawa T, Lee SY, Reddi AH. Induction of chondrogenesis from human embryonic stem cells without embryoid body formation by bone morphogenetic protein 7 and transforming growth factor beta1. Arthritis Rheum. 2009 Dec;60(12):3686-92. Niikura T, Reddi AH. Differential regulation of lubricin/superficial zone protein by transforming growth factor beta/bone morphogenetic protein superfamily members in articular chondrocytes and synoviocytes. Arthritis Rheum. 2007 Jul;56(7):2312-21. Reddi AH. Role of morphogenetic proteins in skeletal tissue engineering and regeneration. Nat Biotechnol. 1998 Mar;16(3):247-52.